Happy Labor Day! 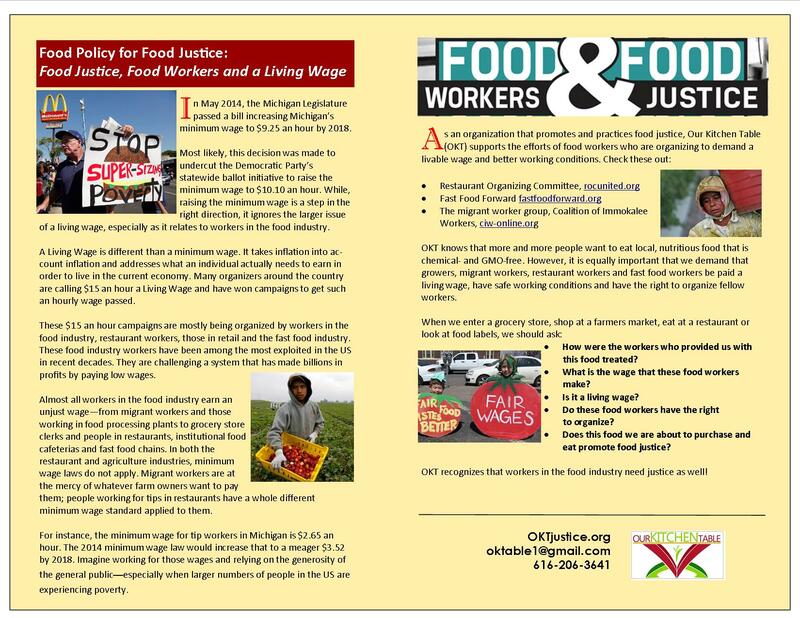 OKT Food Justice hand-out addresses justice for food workers. Over the past six months, OKT has released a series of handouts on food justice. Titles include: What Is Food Justice?, Women of Color & Food Justice, Climate Change & Food Justice, The Farm Bill, Food Politics, Saving Seeds and, as mentioned in our headline, Food Workers & a Living Wage. On this Labor Day, we are featuring this last one below in solidarity with food workers and all workers earning less than a living wage.Click here to view, download and share the entire series.